June 8, 2018—–The Arctic Basin consists of the Arctic Sea and the surrounding land. The climate of the basin is warming faster than any other area of Earth’s surface. Air temperature over the arctic has increased an average of nearly three degrees Celsius (five degrees Fahrenheit) over the last century. This is almost double that of the global average. One very important feature of the energy balance distinguishes the Arctic Basin. Over 95% of the earth’s surface, the major change in the state of water in the environment is between liquid and gas. This entails evaporation and condensation. In the Arctic it is between solid and liquid. There is an energy exchange of about 80 calories per gram between solid and liquid. For the rest of the earth the energy exchange is much higher. The energy exchange between liquid and gas is 590 calories per gram. This is nearly seven times that of ice and water. The implication of this is that melting or freezing takes place with relative small changes in heat added or heat lost in the environment! Surrounding the Arctic sea is a grassland, generally known as the tundra. Such a grassland is found primarily only in the Northern Hemisphere. The southern margin of the tundra is delimited by the polar margin of a coniferous forest. Specific regions that contain tundra are the northern coast of North America, Iceland, Spitsbergen, coastal Greenland, and the Arctic borderlands of Eurasia. A significant feature of the tundra is permafrost. Permafrost is permanently frozen ground. Extensive area of land in the basin are covered with it. Permafrost can vary from centimeters to many meters thick. Ice and snow are highly reflective of solar radiation. However, in the summer months some of the solar radiation melts the permafrost. The surface layer of permafrost thaws leaving the deeper layer frozen. The result is that lakes and ponds are a characteristic of the tundra. Once the permafrost melts at the surface, the wet ground absorbs much more radiation and the thawing increases. However, except on the margins of the permafrost, there remains frozen ground beneath the surface. How deep the permafrost melts will vary. 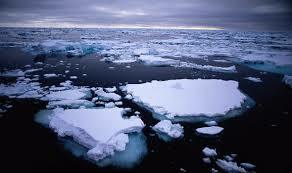 The point is that once the surface thaws the solar energy that is absorbed goes up substantially. This in turn increases the rate of the thawing of the permafrost. As the earth’s atmosphere slowly warms this process is being accelerated. The Arctic Sea is a part of the world ocean that is frozen much of the year but increasingly is open during the summer months. 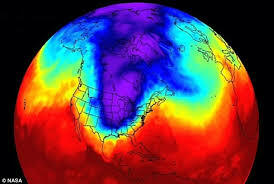 The season when melting occurs has increased by three weeks since records began. At present, even in the summer, there is a large area that remains frozen. As the atmosphere slowly warms more of the ice cover melts. 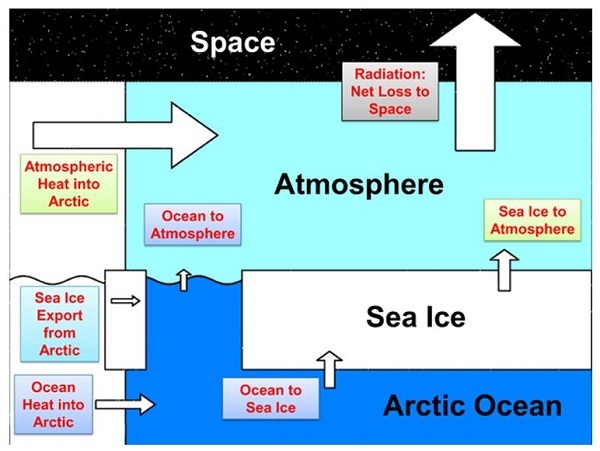 Open water absorbs much more radiation than the ice and this increases the temperature of the water which then increases melting of the ice. As a result, over recent decades, the sea ice has been thinning or melting entirely over large areas. 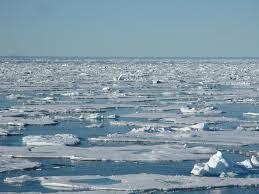 Just as on land the conversion from sea ice to open water is increasing at an increasing rate. In summary, the arctic basin is warming faster than most of the earth’s surface. Part of the explanation lies in the fact that the amount of energy it takes to change the state of water between solid and liquid is much less than it takes to change the state between liquid to gas. There is thus a net gain in heat that is proportionately higher than that of the rest of the planet. As the summer season increases in length more heat is absorbed in the environment adding to the general global warming! Categories: Climate Change, Disappearing Ice Shelves, Fossil Fuels, the arctic | Tags: #climatechange, #renewableenergy, Arctic, Arctic Ocean, Climate change, Declining Sea Ice | Permalink.